The one-axled trailer Anhänger (1 achs.) 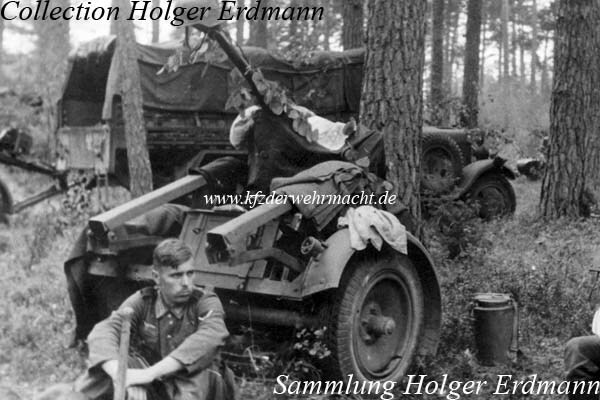 für schwere Panzerbüchse 41 (Sd. Ah. 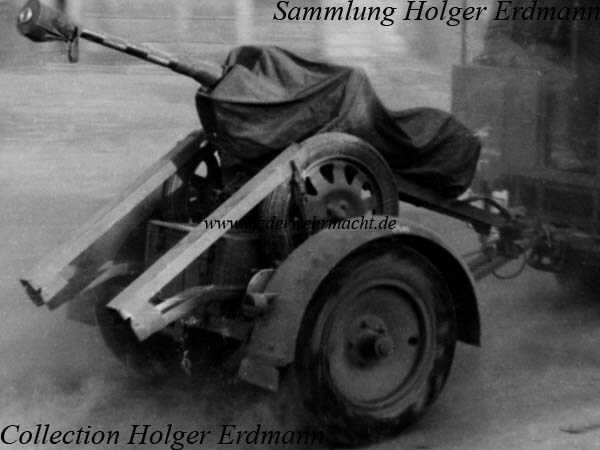 32/2) was used for transportation of the 2.8cm s. Panzerbüchse 41 on roads. It was derived directly from the Sd. Ah. 32. The two loading bars are clearly visible from this perspective.